With his desire to constantly improve bumping up against recurring physical issues, Woodland chose a different, innovative route this past offseason. At the suggestion of his friend, basketball star Ray Allen, he met with trainer David Alexander of dbc Fitness in Miami, who works with LeBron James, Dwyane Wade and other big-name athletes. Woodland, encouraged by his early interactions with Alexander, planned to spend a month in the city getting healthier. He stayed for five months. Alexander’s team, including biomechanics experts, began their work with a detailed body assessment of Woodland to uncover the underlying issues. Chief among them: The player’s upper body was much stronger than his lower body, and he had insufficient flexibility. These led to swing compensations that in turn led to injuries. Woodland’s workouts now focus on evening out his body — in particular, making his left side as flexible as his right side (including a series of stretches done before and after every round) and his lower body as powerful as his upper body. He lifts more weights than ever before, but only when he has a few days to recuperate, and limits those involving rotation, as the golf swing itself provides enough of that. There is, according to the player, another concept, new to him, that has been equally important in keeping him healthy in 2016. It relates to recovery from the day’s strain, which, for the Tour pro, generally involves hitting hundreds and hundreds of balls on top of miles and miles of walking. “Huge” likewise describes Woodland’s drives this season. At press time, he was #1 on the PGA TOUR in Driving Distance, averaging 313.1 yards, fueled by a return of top-end clubhead speed the player hasn’t seen in many years. Some of this, he says, owes to the 15 pounds lost on a new diet that limits sugar — a struggle for many road warriors — and eliminates white flour, to keep down the inflammation that’s another common problem among people who travel as much as pro golfers—or other pro athletes like the ones Woodland saw in action in Miami. 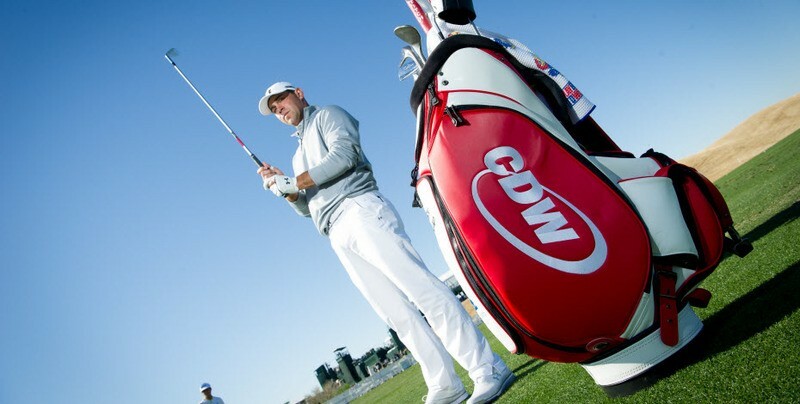 Visit cdw.com/pgatour for more information.